Hope you had a great weekend. My weekend was busy and fun-filled but went by far to fast! Fortunately I managed to squeeze in some time to make a card for Freshly Made Sketches. 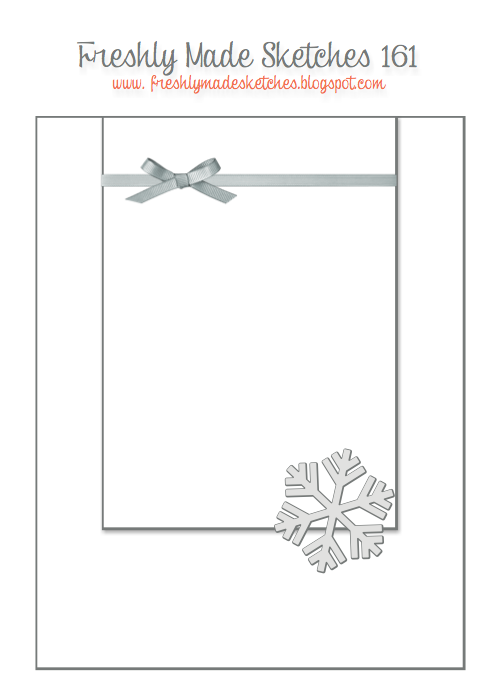 And yes its another Christmas card - but this time there are no snowflakes in sight! 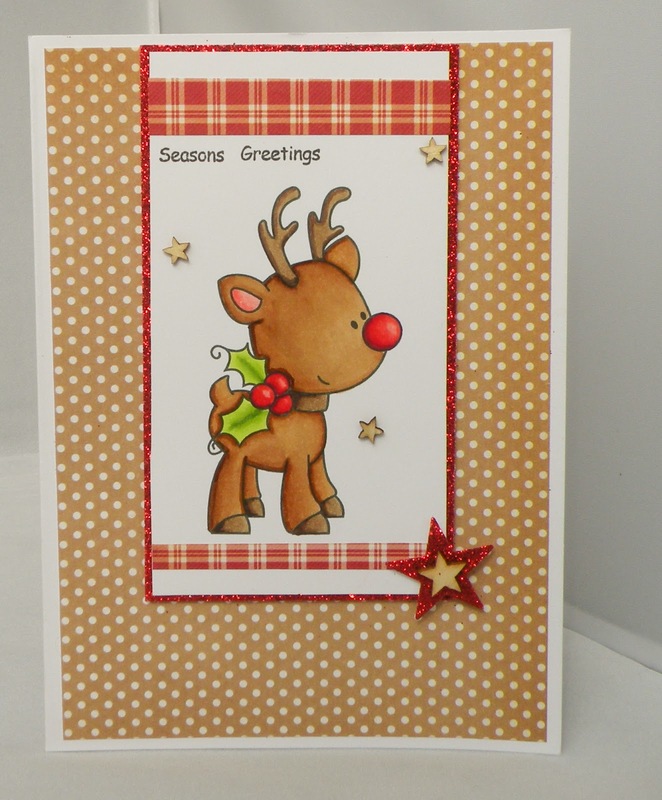 I totally love this little reindeer from Whimsie Doodles. He is so darn cute. Here is a close up of him. Thanks for looking, hope everyone enjoys the rest of their day. So super adorable! Love it! This little guy is as sweet as can be! You colored him perfectly! Adorable card! Thanks for joining us at FMS! 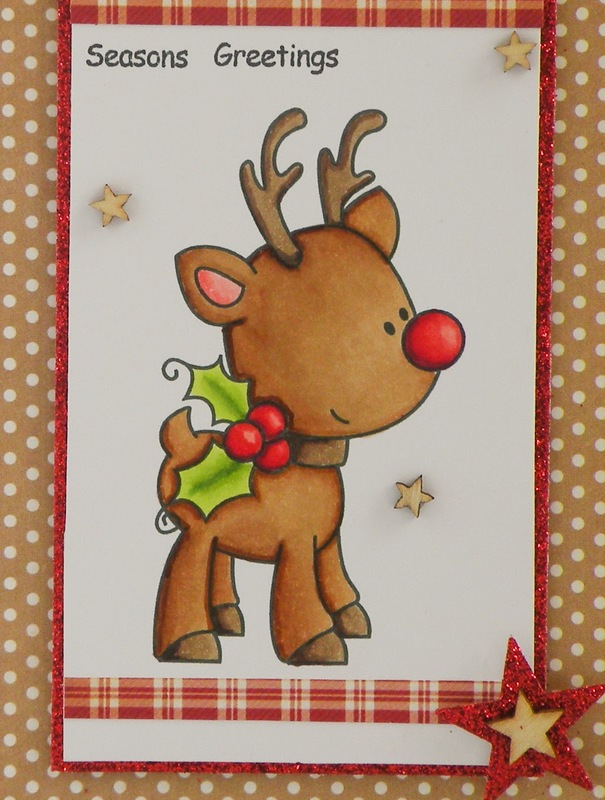 This is the most precious Rudolph that I've seen! Your coloring is superb and I love you paper and embellishments! Thanks for sharing with us at Freshly Made Sketches. Hi, thanks for popping by. I'm a Scottish girl living in sunny Oz with my Vietnamese Kiwi husband! My main passion is travelling and the great outdoors, with card-making coming a close second. Guest Artist at Whimsie Doodles! !